At Parkland Players, integration of music is a standard part of our program. There are so many great reasons to incorporate music into Early Childhood Education. Here are a few of the benefits music has for childhood development. 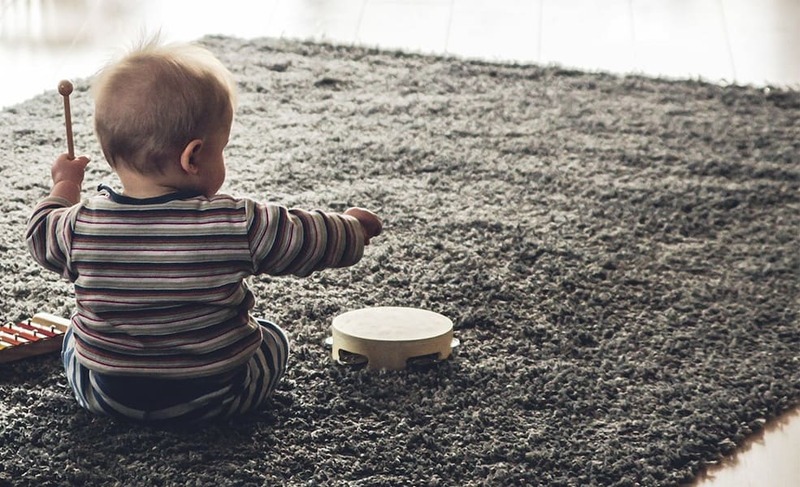 Music at an early age can aide in the development of various brain regions, including those associated with language acquisition and reading comprehension. Some studies suggest that learning to play an instrument can also help with mathematics. Music is also good for social-emotional development, motor skills, and memory. Learning certain instruments can help develop various physical skills from fine motor (those associated with small, controlled muscle movements in the hands), to gross motor (those associated with large, whole body movements). Dancing to music is also good for the development of various physical skills and muscle groups, as well as for general exercise and wellbeing. Music classes or lessons can be good spaces for creating new connections and friendships. Group classes can also require interpersonal skills like teamwork and collaboration. Whether formally, in a classroom setting, or informally when just listening to music for fun, music can be great for self-esteem through learning new skills, and even just through simple enjoyment of music. Music can be a great vehicle for teaching children about different cultures of the world. Children can learn about various kinds of instruments from around the globe, the kinds of songs they play, the languages they use for these songs, and the cultural meaning/significance associated with the songs. Some studies even suggest that music can promote positive interactions between children as young as 14 months old. Incorporate it at transition times: if you are a daycare centre, or even a caregiver at home, music can be great for transitions. Play it when families arrive at the centre, sing transition songs such as the clean-up song, play it as a signal that you are moving to a new activity in the day.